Join your friendly guides Fulton and Cynthia on a biblical adventure as they journey from creation to salvation and discover the importance of God's sanctifying grace. 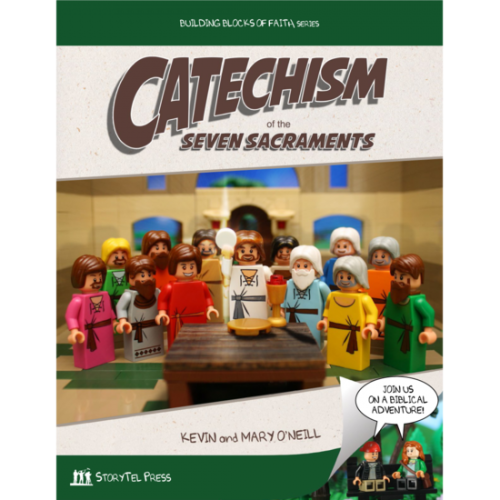 Set in a vivid comic-book format with stunning photographs, this book makes profound theological concepts accessible to both the Catholic and the curious, the child and adult. Following Pope Emeritus Benedict XVI's teachings on Covenant Theology, this book sheds light on the parallels between the Old Testament and the New Testament and the sacraments instituted by Christ that we experience today. Readers will develop a deeper understanding of salvation history, discover how to obtain grace through the sacraments, which are essential on our lifelong journey to the Eternal Promised Land. LEGO, the brick configuration, and the minifigure are trademarks of The Lego Group, which does not sponsor, authorize, or endorse this book.